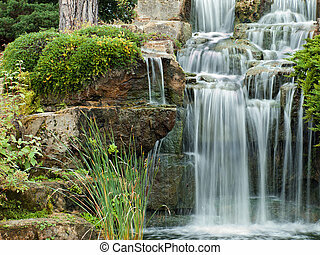 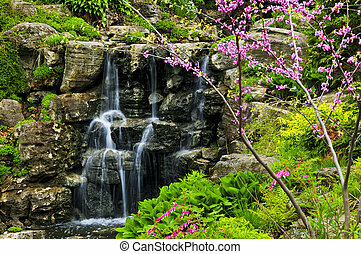 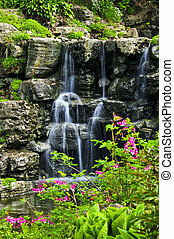 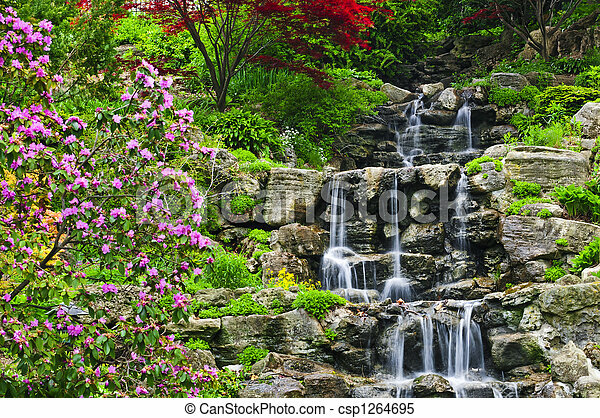 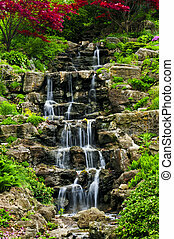 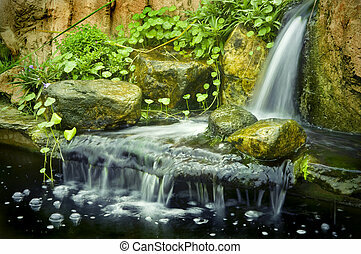 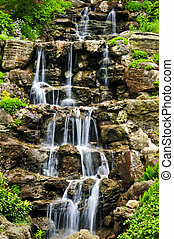 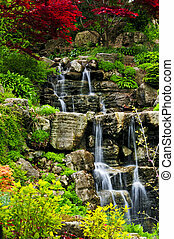 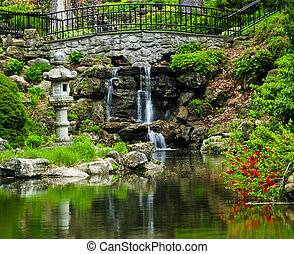 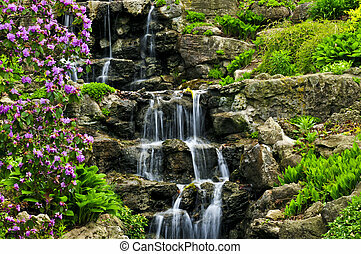 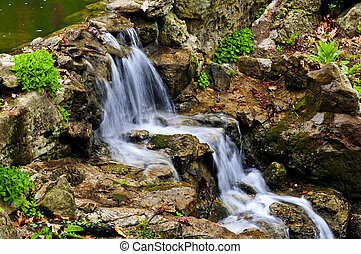 Cascading waterfall in japanese garden in springtime. 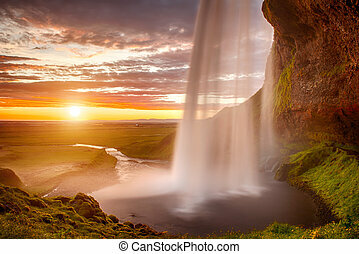 Seljalandsfoss is one of the most beautiful waterfalls on the Iceland. 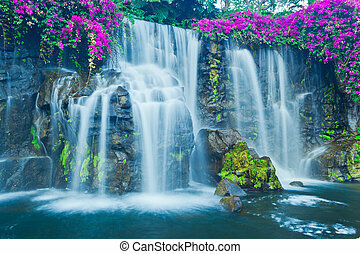 It is located on the South of the island. 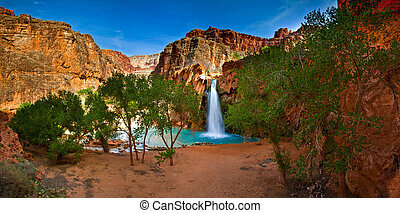 This photo is taken during the incredible sunset at approx. 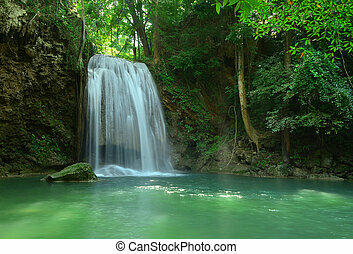 1 AM. 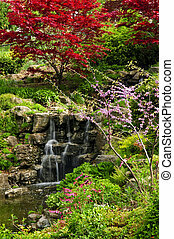 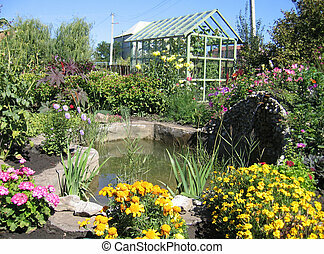 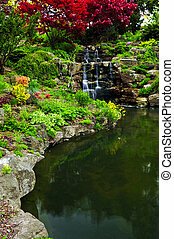 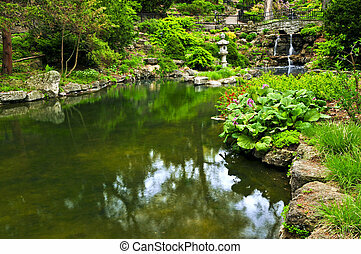 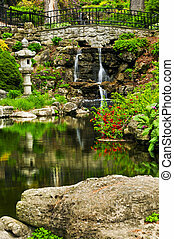 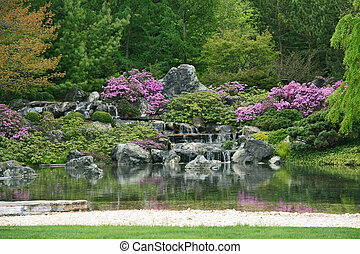 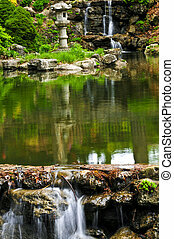 Flowering Japanese garden with pond and water cascades. 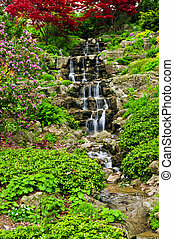 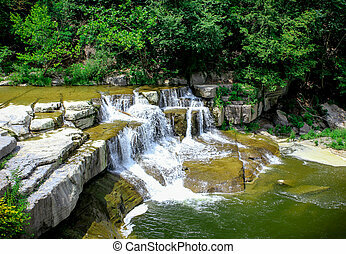 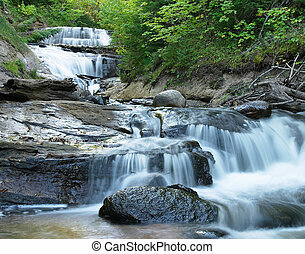 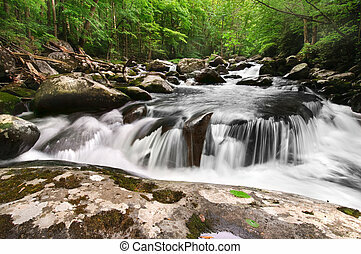 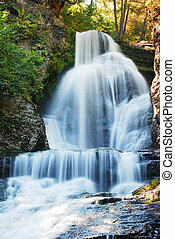 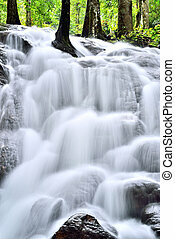 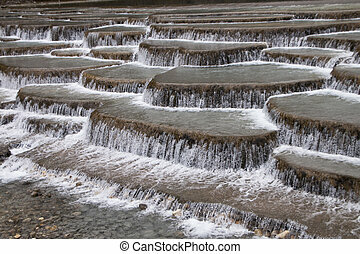 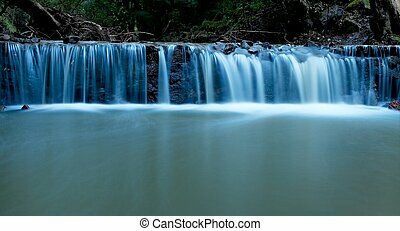 Cascading waterfall from a small stream. 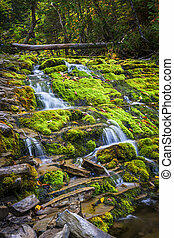 Cascading waterfall over green moss covered rocks in Forillon National Park, Gaspe peninsula, Quebec, Canada.